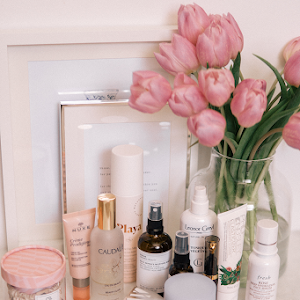 I may or may not have quietly been acquiring a bundle of Korean skincare and makeup over the last few weeks. I also may or may not be splitting said bundle into two haul posts to make things more manageable.. Anyway, I thought I would take some photographs and share my goodies with you, so keep reading for Part 1 of my Kbeauty haul. 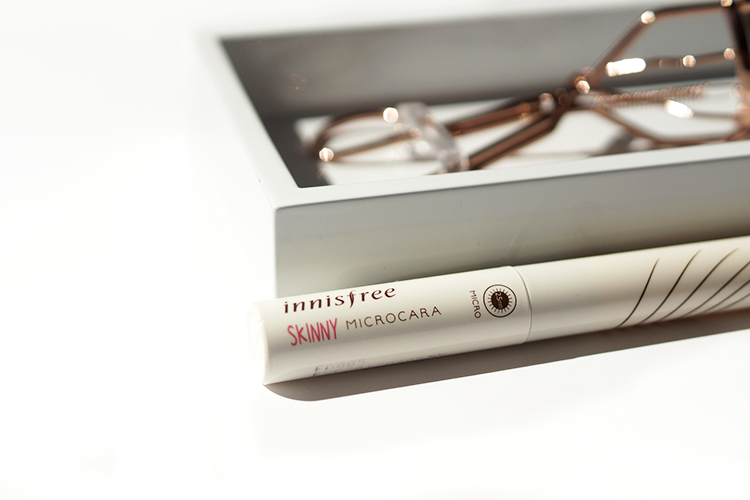 Innisfree Skinny Microcara £8 | Even though this is called the 'Microcara' (or micro mascara to you and I), I didn't think that this mascara wand would be so small?! It's so teeny tiny and thin, much thinner than even the Clinique Bottom Lash. I think if you're wanting to catch all the little baby lashes at the corners of your eyes, and your lashes are a bit lacklustre like mine, then you might really like this - unfortunately for me, it just does not hold a curl, although they do a waterproof version so I might have to try that one out! For the bottom lashes though, it's amazing, I love it. 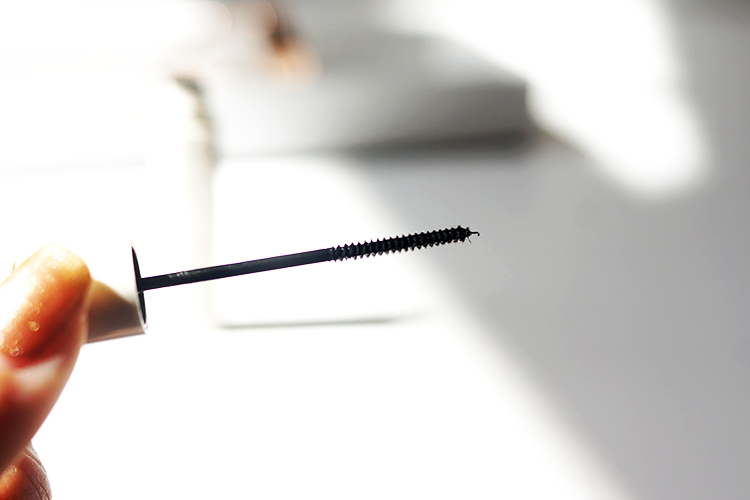 The slim wand really comes into play when you're trying to get super close to the bottom lashline and get every, damn, hair without smudging mascara below your eye. For that reason alone, it's getting a preliminary thumbs up. 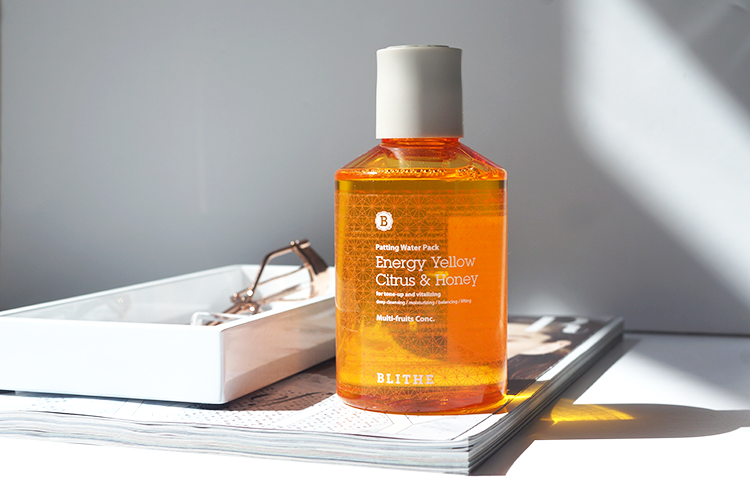 Blithe Splash Mask in Yellow Citrus & Honey $45 | How excited am I to try this? And thanks to the lovely girls at Glowrecipe, it's now in my paws! 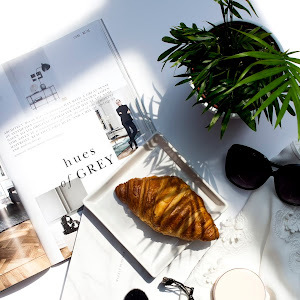 Gone are the days of sitting around, waiting for clay, or those dreadful Montagne Jeunesse peel off masks (we've all tried them!) to dry on your face. Things are a lot sharper and snappier these days, with such little free time, we're now able to face-mask in just fifteen seconds?! Made almost entirely of concentrated lactic acid and botanical extracts, just dilute this splash mask into some water, splash onto the face, then pat in and unbelievably, these 15 seconds of action promise glowing, hydrated, supple skin in an instant - what witchcraft. There are a couple of varieties of this splash mask, this honey and citrus one is supposed to brighten complexion for a youthful glow. I. Am. Excited. 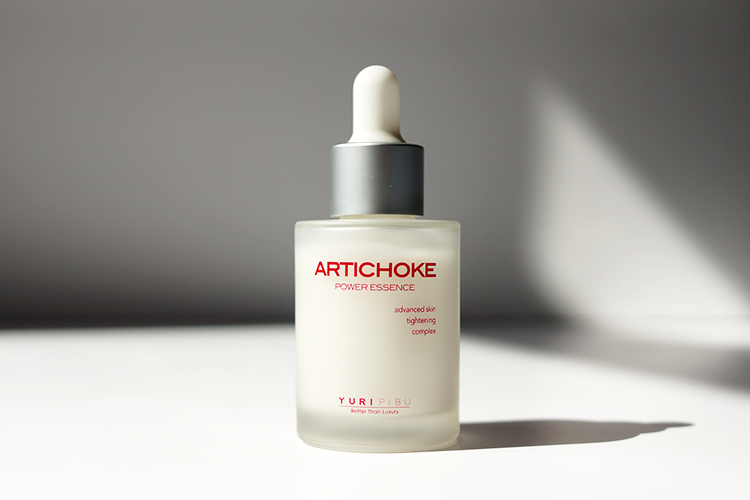 Yuripibu Artichoke Power Essence $38 | If you're into your ingredients, this serum might interest you. 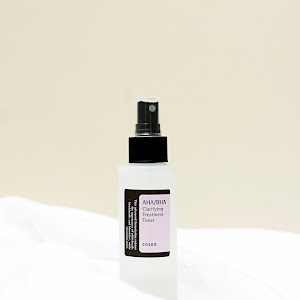 A waterless formula (so ingredients aren't diluted), 60% artichoke extract alongside botanical extracts, ceramides, and humectants promise to smooth, repair, plump and tighten. The list (which I'll be sure to fully break down in an upcoming review) is almost entirely made up of skin benefitting ingredients, there's not a nasty chemical in sight. 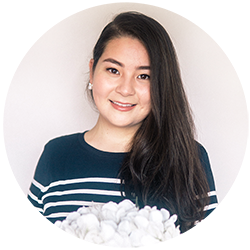 On first impressions, it doesn't feel much like a traditional essence at all (have a look at my breakdown of Kbeauty terminology for more info!) 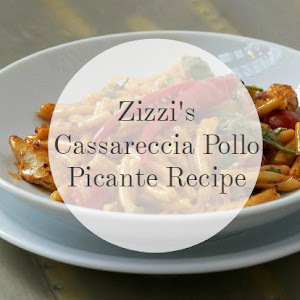 - it's thick, creamy, plump-feeling on the fingertips but sinks readily into the skin with some tapping, leaving a non-sticky, almost matte finish. Even from applying it on the back of my hand, I saw smoothing, plumping (thank you baby jesuss! I can't contain my happiness when I find a product that legitimately plumps well) and pores disappearing so we'll have to see what the prolonged effects are like - don't worry, I'll keep you updated. J One Jelly Pack $42 | I've been meaning to try this mask/primer for legitimately ages, ever since I saw it months back in a random Korean article. From the brand of Korean actress Ha Jiwon (Secret Garden, Empress Ki for any K-drama lovers! ), I was initially skeptical - celebrity/'celebrity' endorsements instantly turn me off, but Ha Jiwon is just about 38, her skin is ridiculous (she doesn't look a day older than 24-25), and I've not heard of anything comparable so was delighted to see it in my Glowrecipe parcel. 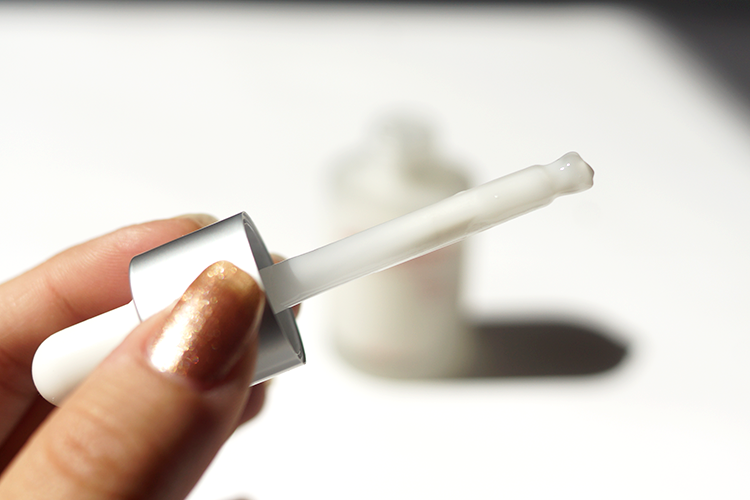 This has such an interesting, gooey texture and is supposed to be your AM one-stop-shop; brightening, firming, hydrating, plumping and priming skin - and if that doesn't have your attention, I'll eat my hat. 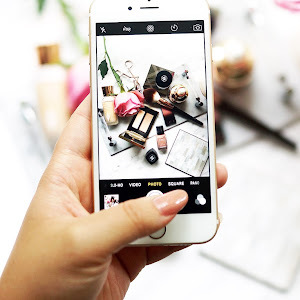 I've just got a feeling that this is the type of product that could be amazing in certain situations, one where you have to 'do it right' to get the best results, so I'll be having a play and experimenting, and I will be sure to be back with the lowdown. 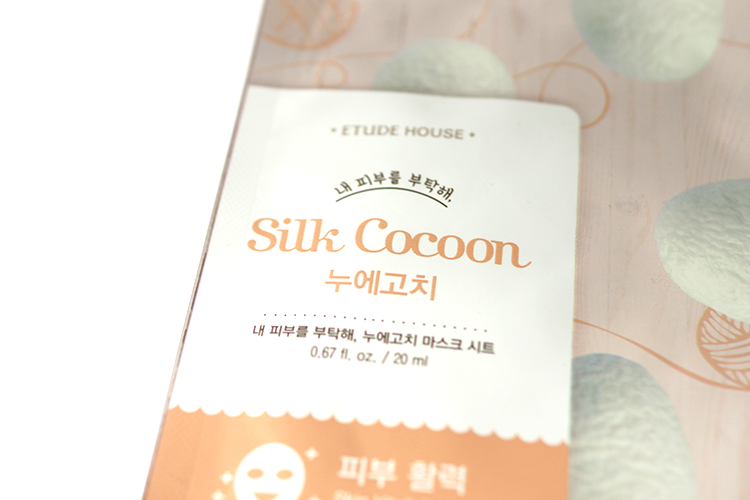 Etude House Silk Cocoon Sheet Mask £2 each | I picked up a bunch of sheet masks including this one from Etude House. Uber moisturising, these masks are soaked in a milky, creamy essence (I'm kinda big on the cream essences atm - anyone else?) 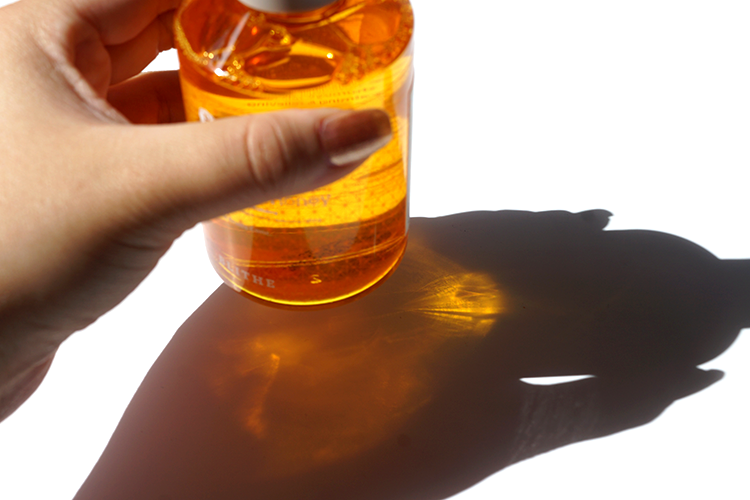 and promise to strengthen the skin's outer barrier with silk. 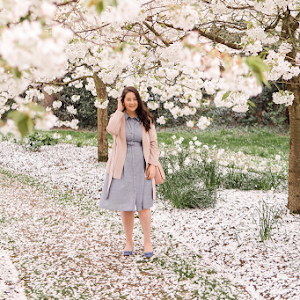 I try and use a sheet mask, well, as often as possible and whilst I have my favourites, I love trying new masks. 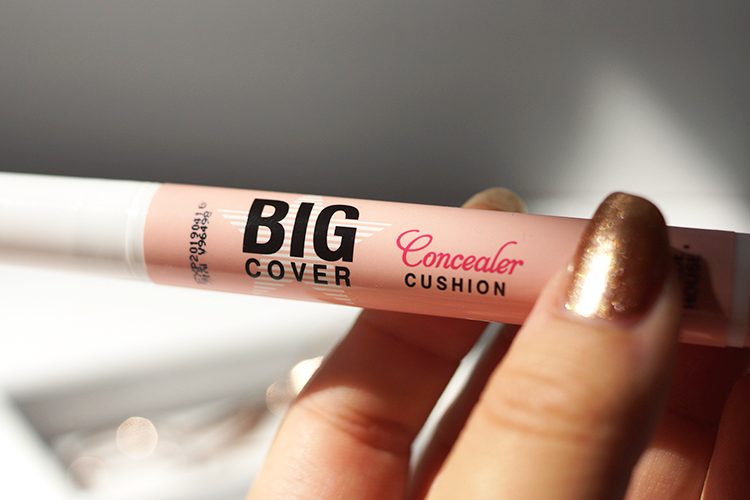 Etude House Big Cover Concealer Cushion in Peach Pink £9 | I love the cushion format. 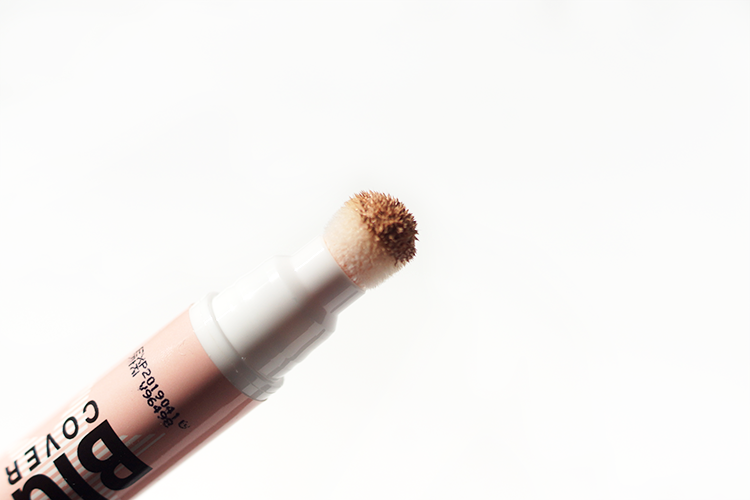 For foundation it's genius, so why not try a cushion concealing pen? This one by Etude House comes in a number of colours, some to conceal, the others to correct. I picked up Peach Pink and the shade, for undereyes, is spot on. The texture feels similar to a cushion compact, but perhaps a little more dry and not as super dewy and hydrating like some cushion formulas. I have to say though, I dab this onto the undereye area and pat in with my ring/middle finger and it sits so nicely, not really slipping into the fine lines under my eyes. I haven't made my mind up about lasting power yet, and am going to experiment with setting with different powders etc so we'll see how that goes. I'm liking it so far though. 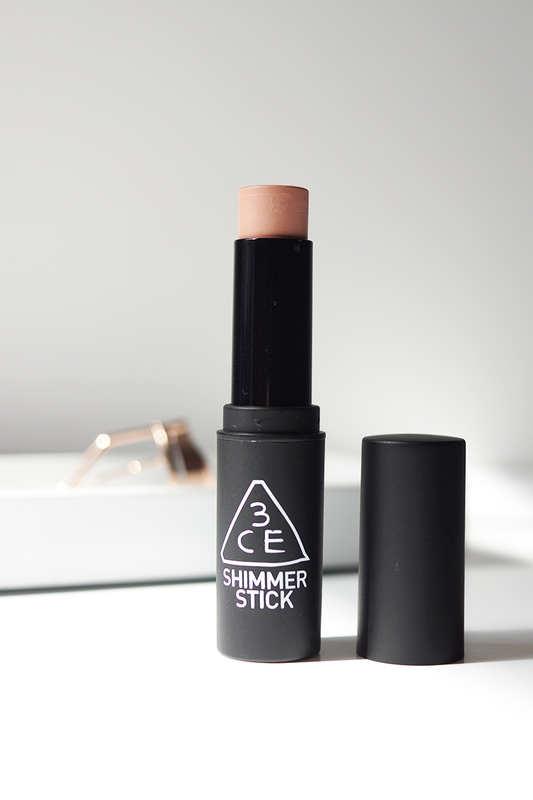 3CE Shimmer Stick in 02 Peach £6 | 3CE or 3 Concept Eyes is a pretty 'trendy' makeup brand in Korea, a bit like Pony Effect, with makeup that I would say is more in line with what's popular among Western brands. 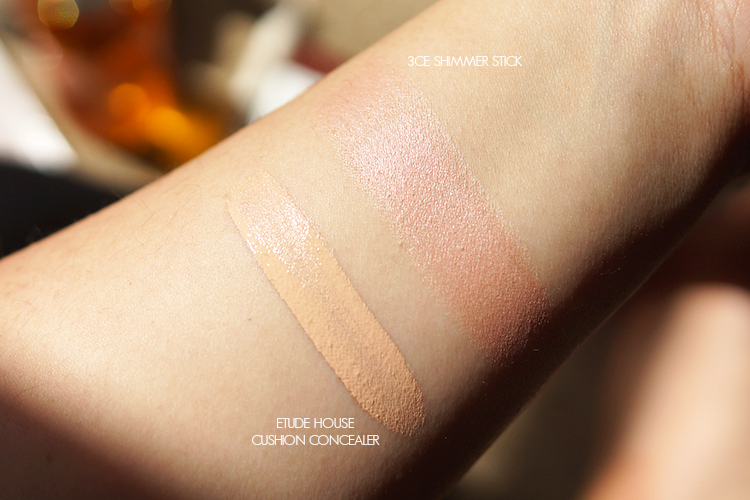 I picked up their Shimmer Stick in 02 Peach, a cream highlighter in my favourite twist up stick format. 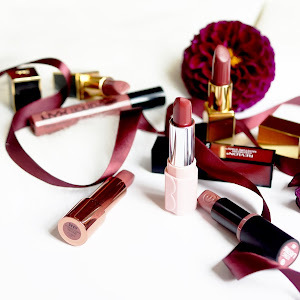 On first impressions, it's less slick and slippery than some of my other comparable products, like the Estee Lauder one from this collection (review + swatches) or the Elizabeth Arden one from this collection (review + swatches). The colour isn't your standard gold/bronze/champagne and to be called a 'shimmer' stick, there's no discernible shimmer that I can see at all! These aren't necessarily bad things though as the peachy-pink hue is pretty and enlivening on the cheeks and instead of shimmer you get a light, cream-sheen finish. 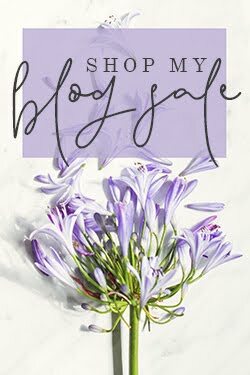 Missha Near Skin Pro Vitamin Cream $15 | I picked up the partnering toner of this cream, the Pro Vitamin Liquid, a little while ago and have really been loving the hydrating and smoothing properties it's shown on my skin. So I thought I'd try the cream, as something a little more substantial to use at night. 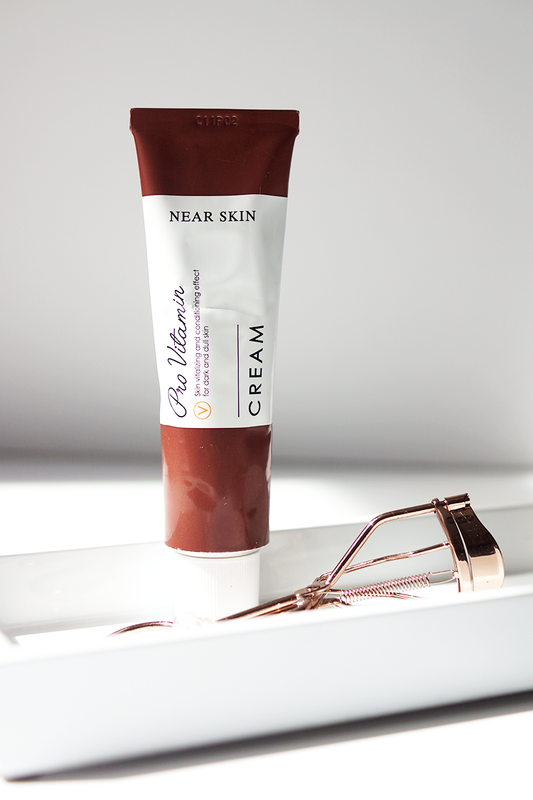 Although initially I thought this might be a little too heavy for my skin, as it's feeling a bit more combo than usual now that it's summer, this cream is more formulated like a gel-cream than something too rich and heavy, so it absorbs nicely, whilst still feeling occlusive enough to keep the rest of my nighttime routine within my skin. 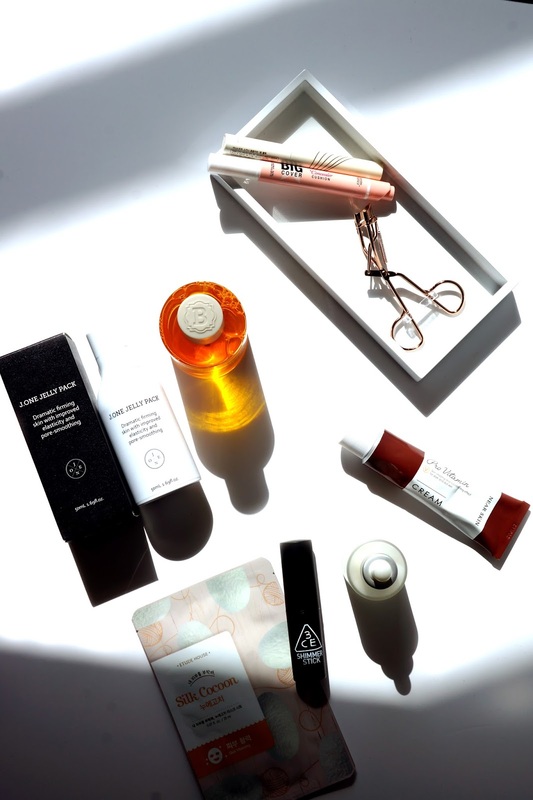 And I love the packaging, the toner comes in a nice, dark brown, glass bottle, and the cream in a metal tube. And I'm going to round things up here - any standouts for you so far? I'm super excited about giving these products a good and thorough test, then I'll be back to let you know how I got on. And keep your eyes peeled for the 2nd part of this haul! EDIT: You can now see Part 2 here. 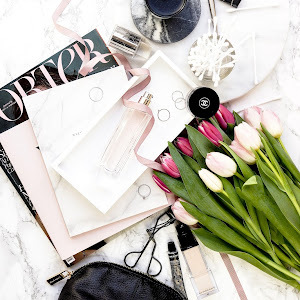 P.S Have you seen Elizabeth Arden Summer 2016? It's a killer collection. The cushion concealer looks so cool, I'd love to try that! Aaaah such a great haul! 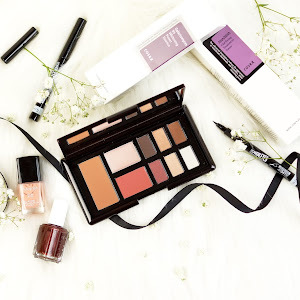 Been wanting to try the EH Big Cover stuff for a while myself, may be bought in my next lot of purchases as I am fast running out of concealer! I'm quite intrigued by the Splash Mask, definitely looks like something I want to try sometime soon, little pricey but I may decide to splurge and treat myself! Will be looking out for the next part for sure and looking out for your opinions on these products as well! 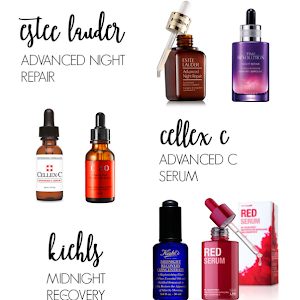 Oh I've been wanting to try 3CE products for a while now, looks lovely! :) Too bad Etude House has decided to stop making that line of sheet masks! Although they are coming out with a new line, I'm looking forward to them! 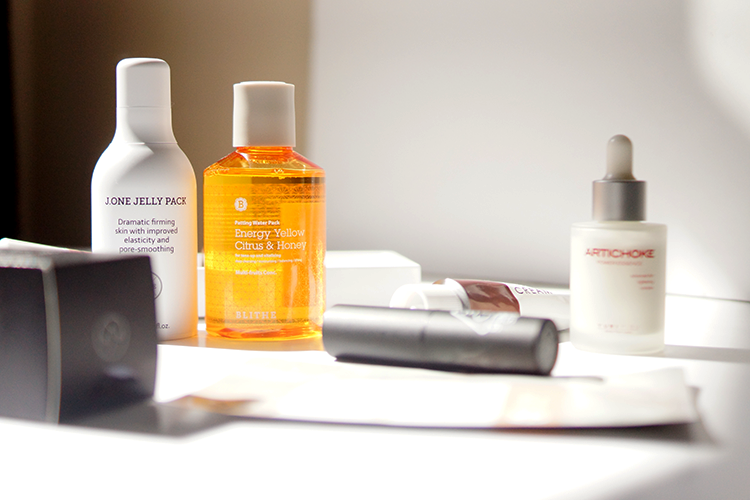 I always hear such amazing things about korean skincare. I definitely need to try some products.